Property 5: Adam's Holiday home is a studio type apartment (500sqft) with attached bathroom. The Nook Home - Gorgeous two storied house in Kaloor - We offer the best . Property 11: The Nook Home - Gorgeous two storied house in Kaloor - We offer the best . Luxurious 2 BHK house amid lush greenery and in a village like atmosphere. Property 21: Luxurious 2 BHK house amid lush greenery and in a village like atmosphere. River View "Home Away From Home"
Property 27: River View "Home Away From Home"
Property 36: Stay on an island- Graamya village trip!! Kerala - Experience the Country Living ! Property 42: Kerala - Experience the Country Living ! 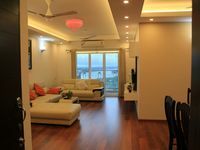 Budget non AC 3bhk apartment near kaloor stadium. 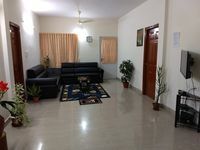 Property 47: Budget non AC 3bhk apartment near kaloor stadium. Eliza home is where the quality of the property matches the character of the host! It is as good as it can ever be once one finds herself/himself away from home. Not only is Eliza Homestay a peaceful and secure place to be, but it&rsquo;s owner is even a greater communicator and greatest resource. John did not spare a moment to show us where to catch a cab and do the shopping. He and his wife are a great resource and most hospitable people in Kerala even the greater country of India to my humble assessment. As a matter of fact I will warmly recommend anyone to stay at Eliza Homestay while visiting the greater Kerala province. Should I plan a visit to Kerala, Eliza Homestay is certainly be the sole place to reside for the above mentioned reasons. When I booked my room at Eliza Homestay, I was in such a great hurry that I did not even read the background information about the owner and property. It was until we were taking pictures with John and his wife that the latter asked if John&rsquo;s background information was the deciding factor in choosing the property as it pertains to his family living in Africa for a number of years. I told them that I never even read the background information about John and it did not even matter since their character was the most eloquent witness their genuine openness. In summary, suffice to say that Eliza Homestay and John Mathew and his wife are deeply etched in the epicanthus whener I think of India. What great and good people, what a place to find oneself in this lifetime is all encapsulated in Eliza Homestay! As one can probably see, I am having trouble selecting the highest rate of satisfaction for staying at Eliza&rsquo;s.
Apartment was as advertised. Large space with many amenities. Kitchen was well equipped. Gym and swimming pool were nice extras. Can give a good recommendation for anyone that wants a lot of space and quality. View looking out onto the lagoon was serene and overall area was quiet.